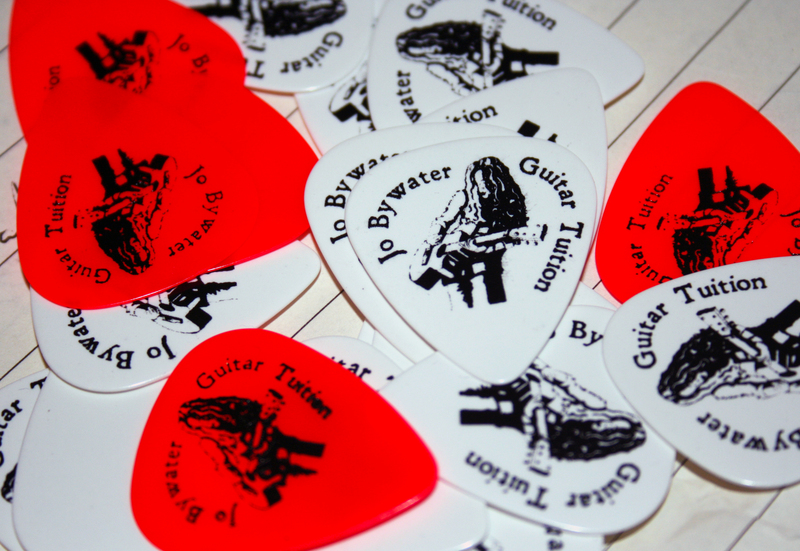 Jo Bywater Guitar Tuition Plectrums! A new week of learning as ever. Monday’s my perfect morning to sit down at my laptop and look over how I want my guitar teaching week to begin. This week I’ve added some descriptions to the electric guitar diagram I posted last week over at my Free Resources page. These PDFs are nuggets of information serving use to beginners to introduce the guitar parts. They are also very useful to those teaching who are looking for a concise reference sheet to prompt info and also to give out to their students. If you would like any more in-depth information your choices are to 1) Message me 2) Surf the net 3) Pretend you already know everything. I say the first two may help you find out more but 3) sometimes works! Mainly I hope you find these as useful as I do when I’m starting to get ideas of what makes up a guitar to my students.